Parking: Please car pool! Once the lost is full, cars wll be turned away. Cars with a single occupant may be turned away. Parking is $5.00. Please have cash ready and exact change if possible. This helps the hosting club offset expenses and/or support a charity of their choice. Food vendors will be on site, but families are welcome to bring their own snacks/drinks as well. Watch for an email from your team parent to sign up to help with team drinks/snacks/etc. 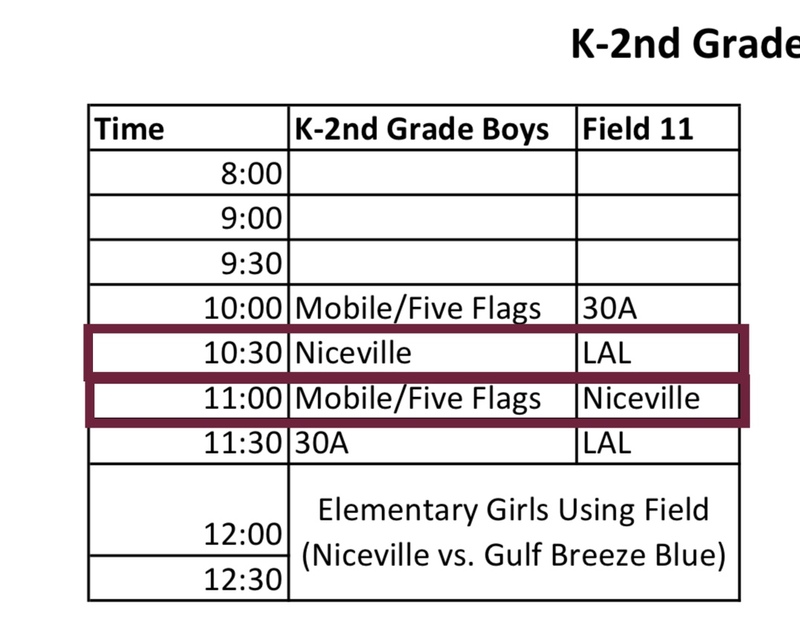 Niceville Lacrosse team tents will be set up together for kids and families to relax between games. Bring additional tents for shade and folding chairs for your family as well. 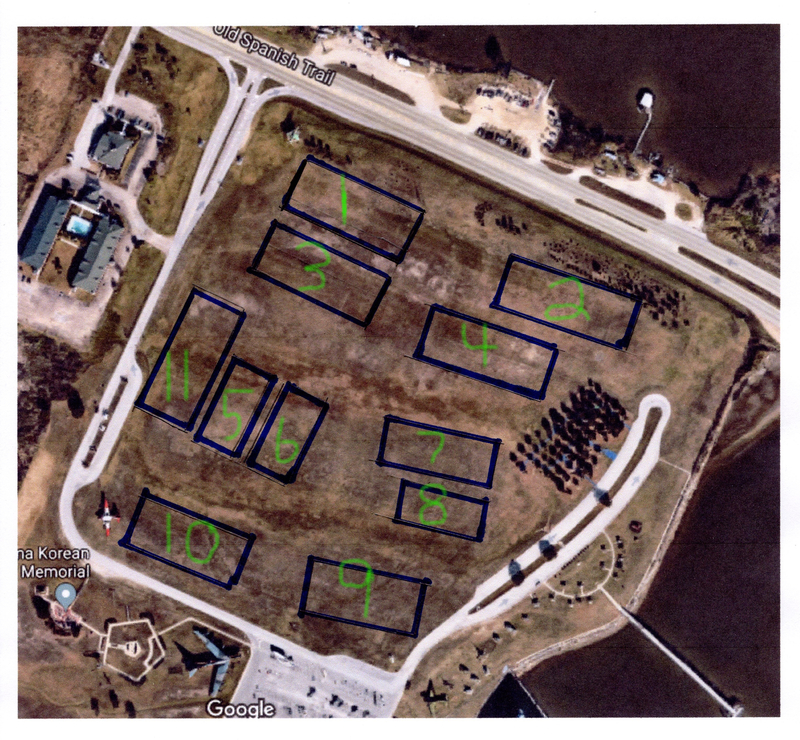 We are very excited to be hosting the Battleship Shootout this Saturday, February 14, at the USS ALABAMA BATTLESHIP MEMORIAL PARK, located at 2703 Battleship Parkway, Mobile, Alabama 36603. Please try to carpool if at all possible. As the event grows, parking becomes more limited. Follow the signs marked Lacrosse Tournament. Stay to the RIGHT lane of the Park entrance. Parking will be $5. Please have your money ready so that we do not back up traffic onto the Causeway or I-10 ramps. Please park ONLY in designated parking area (look for the signs). Food vendors will also be on-site throughout the day. Gotta-Go-Portables. There will be plenty of portables. Please do not use the restrooms in the Gift Shop. Please help clean up throughout the day, as we are responsible for making sure we take care of the venue and leave it in good shape when we leave. Thank you in advance for making this Saturday a success!